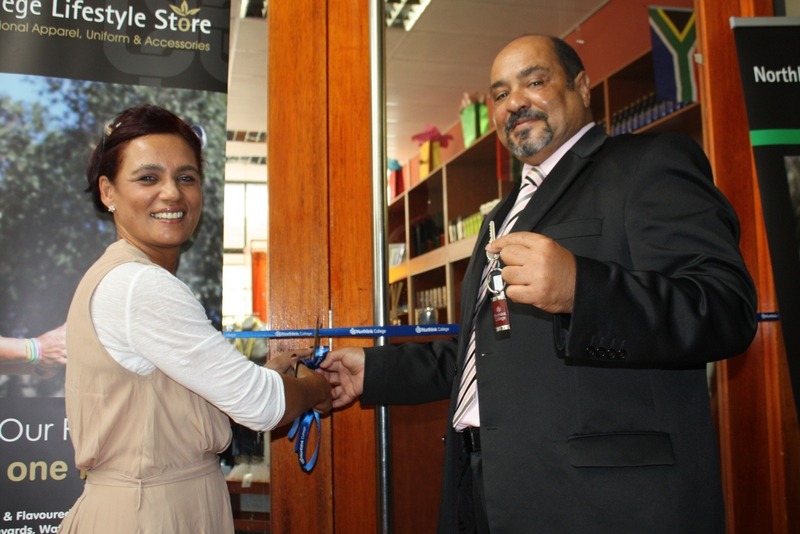 Mr Leon Beech (CEO of Northlink College) handing over the keys to Ragmah Jappie (DressCo) at the official store opening. 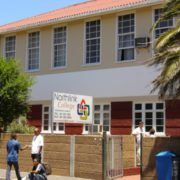 In February 2013 Northlink College opened a Lifestyle Clothing Store. 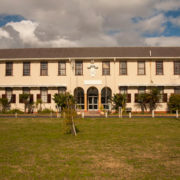 The college is the first in the South African FET College sector to make such a big move. 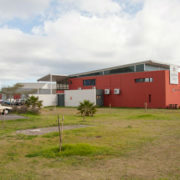 This store holds promotional apparel and accessories for both staff and students. It will be operating under the supervision of Ragmah Jappie of a company called DressCo. 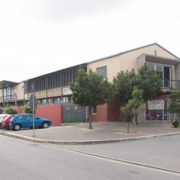 The store is located on the premises of the college’s Protea Campus. He expressed his concern about students that could not be identified or associated with the college as they were not wearing or using anything that promoted the Northlink brand. By selling products that are more modern and trendy, students and staff will be more inclined to purchase items from the store. The objective is for students to wear these clothes and use the promotional items showing their loyalty and pride at being associated with Northlink. Through branded items the college’s Alumni could also have a platform that reflects their association with Northlink. As a result it will continue to strengthen the organisation’s corporate identity. Although the store will be run by a private entity, Northlink will be a beneficiary of the financial return. 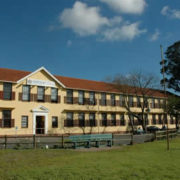 These funds will be ploughed back into the college and will be used for bursaries or any other facet that need to be funded. 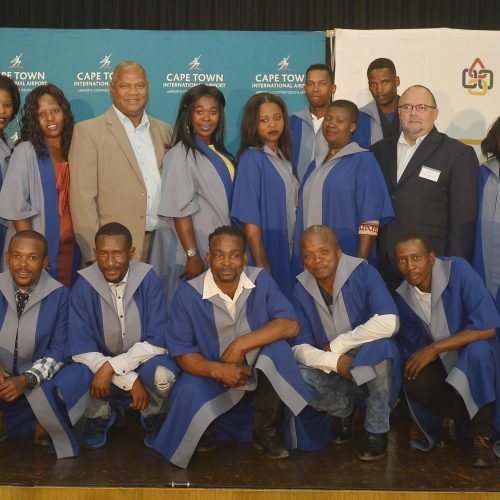 The college is privileged to have its own clothing production factory at Protea Campus which will manufacture most of the garments. 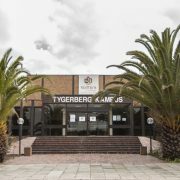 As an additional benefit the staff and students from the other campuses will have the luxury of having their purchases delivered to their respective campuses. “I would like to thank Northlink for giving me and my staff this opportunity. 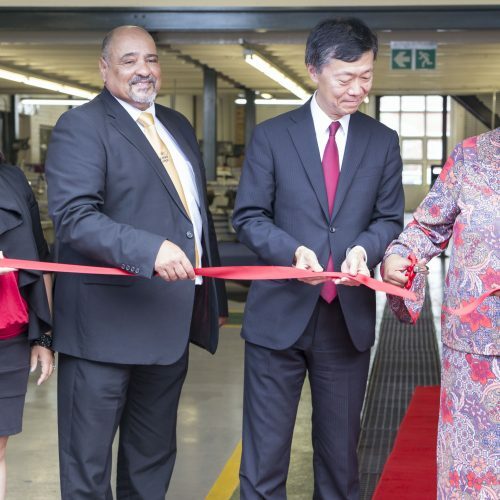 We look forward to working with you and our aim is to ultimately promote the Northlink brand”, said Ms Jappie. 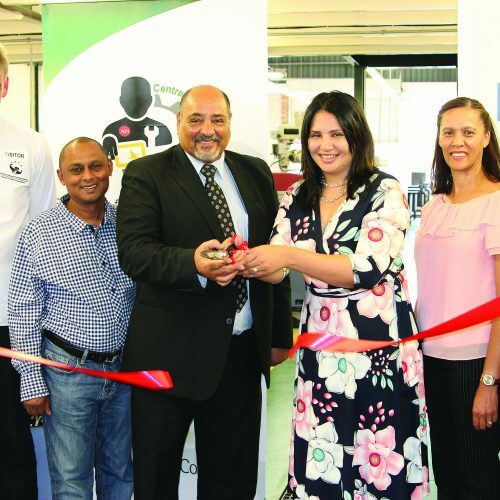 Mr Beech thanked all the parties involved in making the opening of the store possible and proceeded to hand over the key to Ms Ragmah Jappie and cut the ribbon to officially open the store with her. Place your order today by sending an email to campuslifestyle@www.northlink.co.za or contact the store on 021 970 9000.